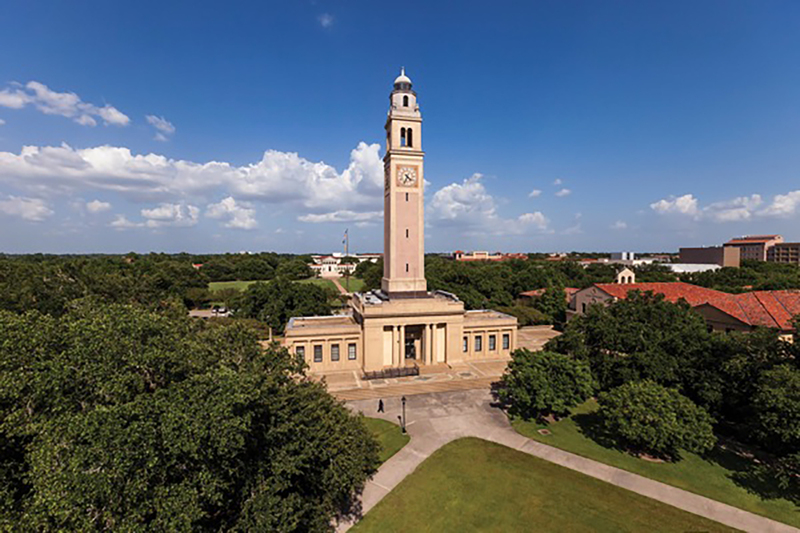 The LSU Board of Supervisors this morning unanimously approved a request from LSU’s flagship Baton Rouge campus, which, wanting to increase the size of its Fall 2019 freshman class, asked for more flexibility in the awarding of $31.2 million in need- and merit-based scholarships. The board’s approval means LSU can now use analytical, marketplace-driven models to make real-time financial aid decisions to boost admission acceptance and retention rates. Jose Aviles, LSU’s vice president of enrollment management, told the board today that the university has admitted 95% of its target goal of 6,150 freshmen, meaning it still needs some 300 students. He expects to have the remaining decisions rendered in the next few days. Fall 2019 recruitment efforts have drawn in LSU’s largest-ever applicant pool of 23,615 students, with notable spikes in enrollment from both out-of-state and historically underrepresented students. That’s partially because of LSU’s new holistic admissions process, Aviles said, arguing a sophisticated scholarship awarding strategy would further increase the applicant pool. There were significant increases in out-of-state applications from the following areas: North Carolina (78%), the Washington, D.C. metro area (29%), California (27%), the New York City metro area (25%), and Georgia (15%). LSU also saw a 5.8% increase in applications from minority students. Recently admitted students also have a historically high average ACT score of 25.5, slightly up from last year’s 25.4 average. While LSU now has more autonomy in its scholarship awarding, the Board of Supervisors still must approve LSU’s scholarship budget every year. LSU also must provide a report to the Board of Supervisors each spring, updating them on how scholarships were awarded.